Gameloft's latest racing game, Asphalt Xtreme, has finally left pre-registration and is now available for download on the Play Store. 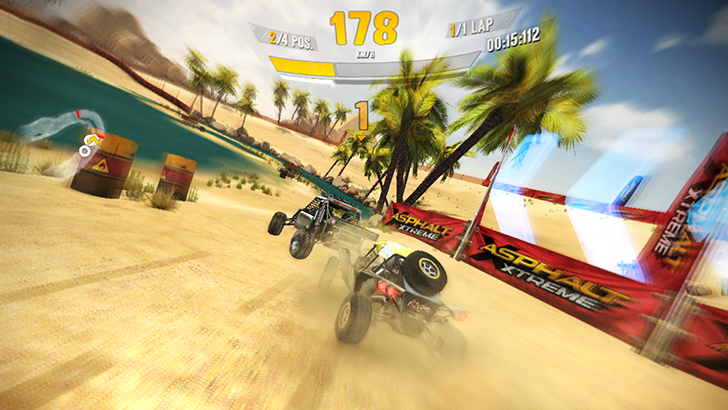 The latest entry in the Asphalt series is primarily composed of off-road races in canyons, mud, and sand dunes. 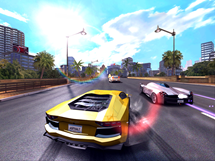 There's a variety of popular real-life cars in this game, including models from Jeep, Ford, Dodge, and more. 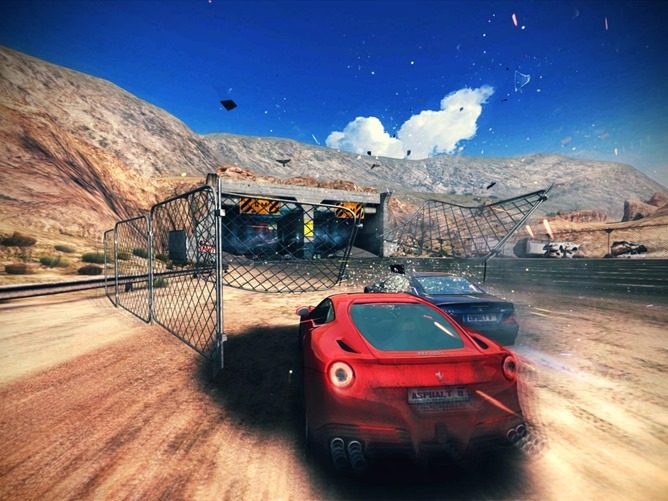 In total, the game has 35 cars in various form factors including rally cars, trucks, buggies, and SUVs. You can further customize vehicles with both performance and visual tweaks. If you moved one of the high-speed chases from Grand Theft Auto: Vice City into a highway with just three lanes, then removed the player's ability to steer or accelerate, it might look a lot like Asphalt Overdrive. 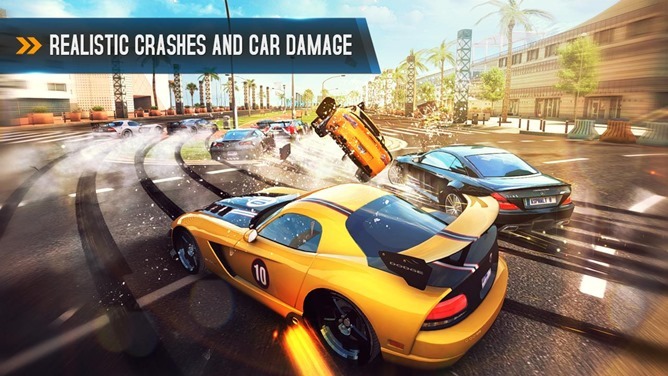 Between the Hot Wheels physics, licensed cars, online play, and gorgeous presentation, Asphalt 8 is worth a lot more than its $1 asking price. 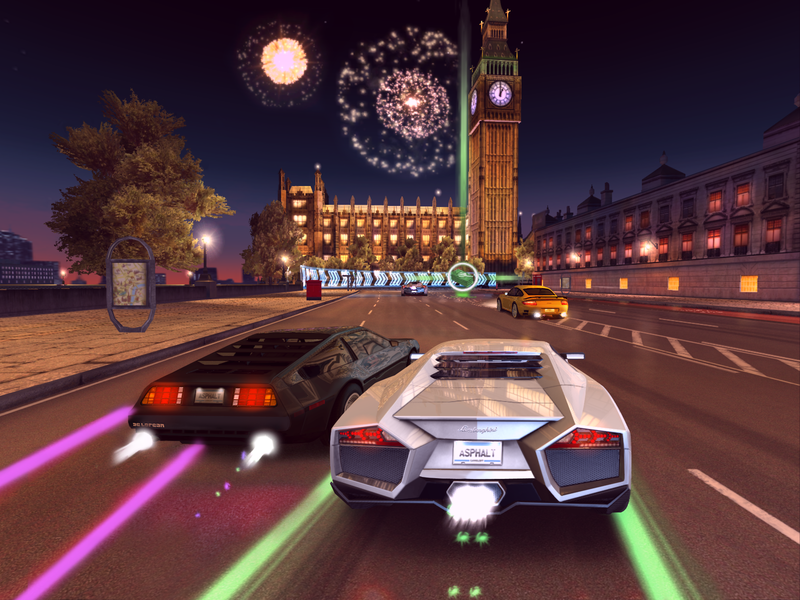 Whether or not it's worth all the in-app purchases that the player is constantly inundated with is another question, but in the game's defense, none of them are necessary to get all the cars and upgrades. 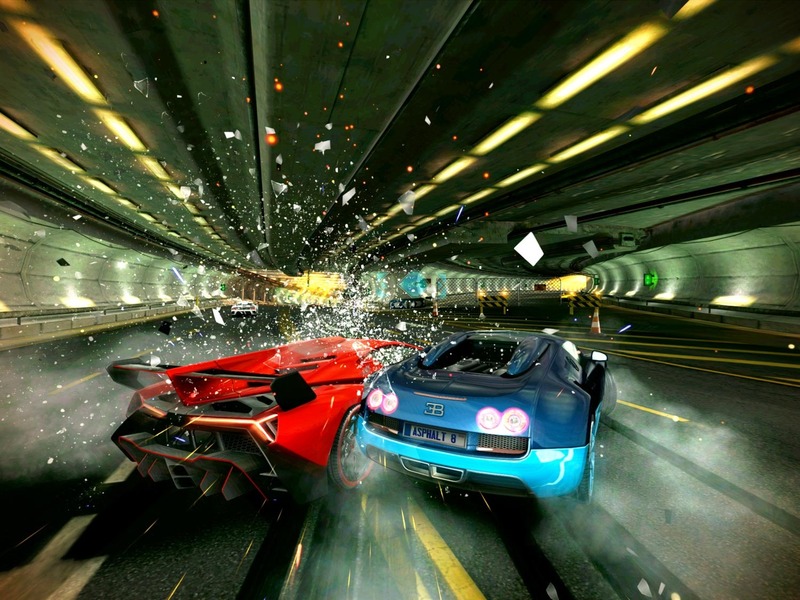 The newest incarnation of Gameloft's racing franchise, Asphalt 8: Airborne has hit Google Play. 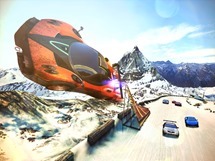 In addition to the standard race mechanics, this title will encourage players to pull off high-speed aerial stunts. 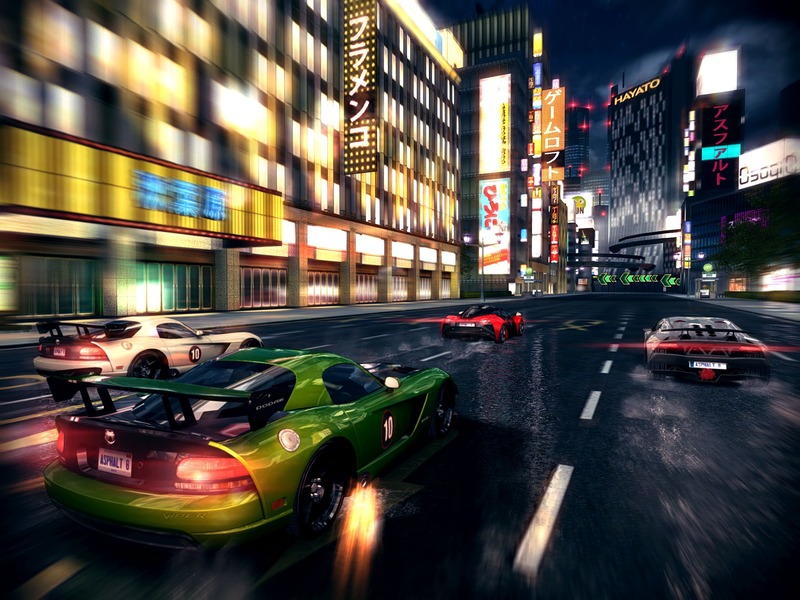 Yeah, it is not a terribly realistic racing game. 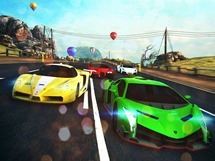 Gameloft is really piling on the pretty with this one. 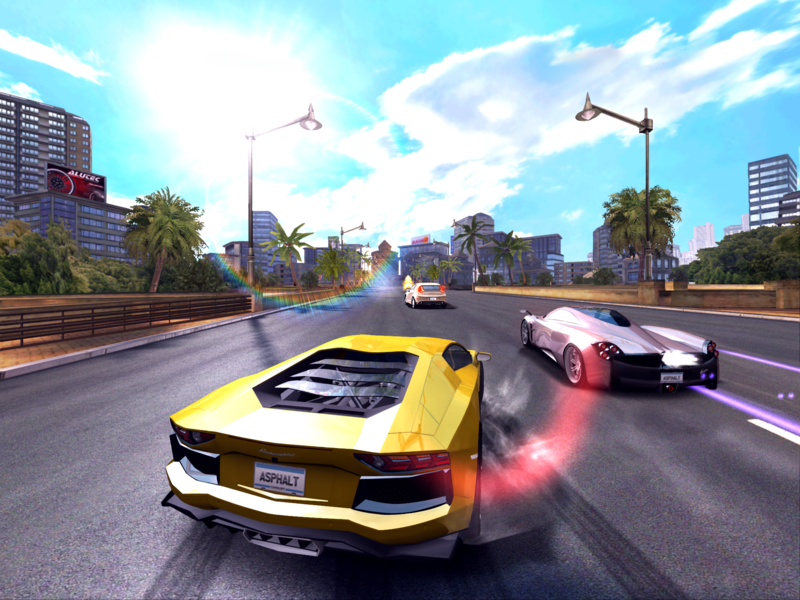 The environments are huge, and there are more reflections and lighting effects than you can shake a gear shift at. There is a new physics engine backing the whole endeavor, which should make the cars feel a little more responsive and real. 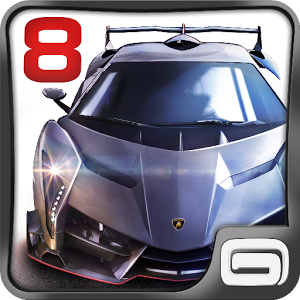 There are almost 50 licensed cars in Asphalt 8 from manufacturers like Lamborghini, Bugatti, and Ferrari. The Xbox One and PlayStation 4 may be hoarding up gamers' attention right now with their E3 promises of mind-blowing graphics, but Gameloft is teasing phenomenal visuals that will fit inside your pocket. Asphalt 8 Airborne is due out this summer, and at only 99 cents, you might not be able to find more polygons for your buck. Consumers have dropped $59 for visuals like these for years now, and while the next console leap is ushering in a sizable upgrade, do they compensate for the $58 difference in price? And that's assuming the price of next generation games remain the same. 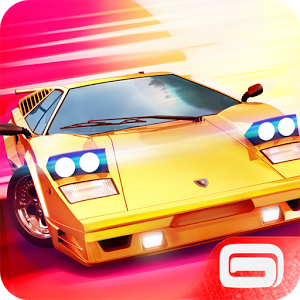 Gameloft took its sweet time getting its games in the Google Play Store, but when the French developer finally got its act together it offered some great stuff. 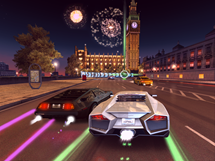 The Asphalt series of racing games has been a mainstay of Android for a while now, and the newest incarnation, Asphalt 7, has finally launched. Now that there are so many alternatives, should you still be revving your engine for Asphalt? Let's see. 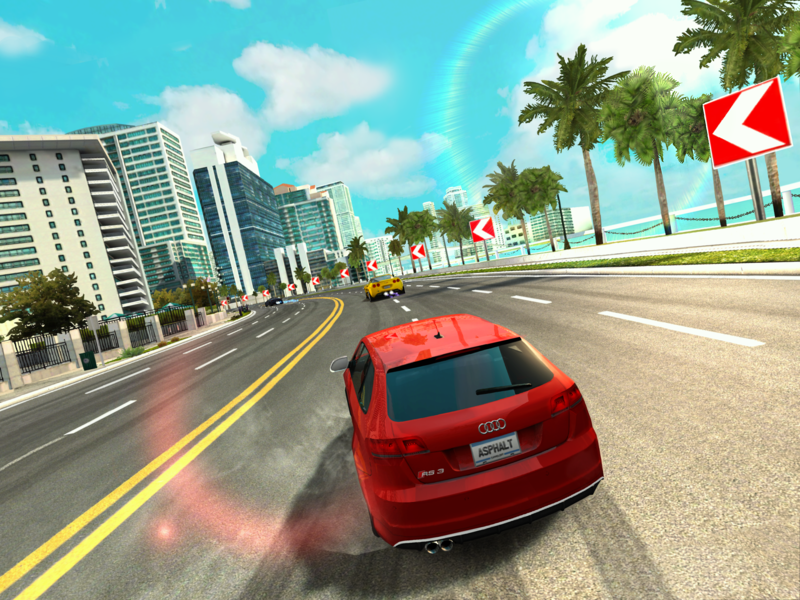 The default control scheme is probably going to be familiar to anyone that has ever played a racing game on a mobile device. 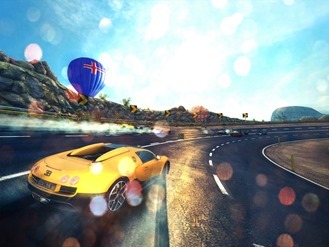 Your car will accelerate constantly, unless you press over on the left of the screen to brake. 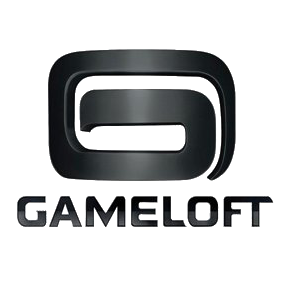 With E3 well underway, mobile developer Gameloft has let loose a salvo of new titles it'll be unveiling at the conference today. These include: Asphalt 7: Heat, The Amazing Spider-Man, Kingdoms & Lords, and Cosmic Colony. Asphalt 7 is the latest in the iteration in Gameloft's long-running racing franchise, though it appears the gameplay has remained largely unchanged (read: racing games on phones still aren't very good), while graphics and the choice of vehicles have been noticeably stepped up. No release date has been announced. Commissioned by the studio producing the movie of the same name, it's exactly what it sounds like: a movie game.